Over the past few days I rally have been getting the feeling that winter isn’t too far away again. No, not because the trees are losing their leaves or because the days are getting shorter, but because it’s getting to the time of year where I start wearing multiple pairs of socks. I don’t think I’ve ever met another person who owns quite as many pairs as I do. I have enough to fill an entire drawer so that it can barely close without giving it a huge shove, and then I fill a separate overnight bag too. Even when I wear tights, a put a pair on over my feet. Because of the way my feet drag on the floor when I walk, I put holes in the toes very quickly. I never throw any odd ones away because I go through them so quickly. Some days, it can take ages to find a matching pair if I’m head out to an appointment or something like that. I got the pair of microwavable ones that Rob got me out of the wardrobe the other day in preparation, and it won’t be long before they get used again. I can’t walk in them but I can sit in them while I read books and type all my job applications. My gloves have made a reappearance in my coat pocket too, and I don’t think it will be much longer before I don my hat and scarf too. What do you do to keep warm when the weather turns cold? drink lots of tea and eat lots of chocolate!!! 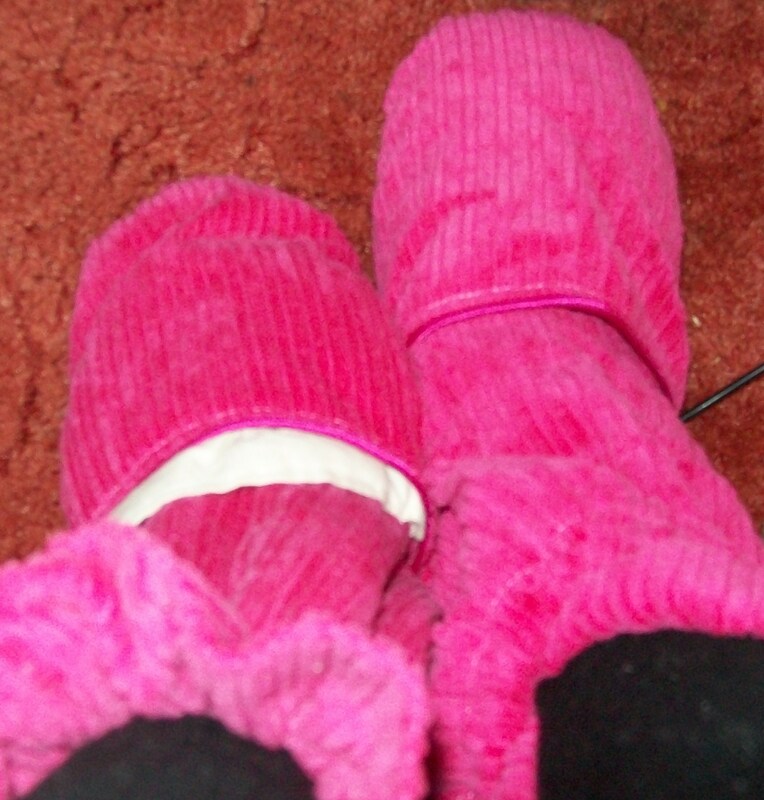 oh and when it gets really cold, I hide in the house in a onesie and fuggs!!! cos hibernating or emigrating isn’t an option!!! This is also a good idea! I usually end up hiding in the house cause if it snows, it’s really hard for me to get around. me too!!! I get grumpy if it snows!! I have started stockpiling stuff for incase it snows!!! might start to do that soon.I used to do that when I was at uni but now I’m back living at my mum’s for the time being it’s not so bad.